HOUSTON, TX, June 22, 2017 /24-7PressRelease/ — The Multiple User System for Earth Sensing Facility (MUSES) will inspire and enable numerous branches of research and science through its ability to support many different kinds of investigations and hardware aboard the International Space Station. Providing a platform for payloads such as high-resolution digital cameras and hyperspectral imagers, MUSES provides precision pointing and other accommodations for various kinds of research and science. The space station’s orbit cover’s 90% of the Earth’s inhabited surfaces and allows for both day and nighttime passes, allowing a variety of observation and data collection times. MUSES will provide Earth imagery data to NASA’s SERVIR team to provide disaster response information to aid in the team’s humanitarian missions, improving environmental decision-making among developing nations. The MUSES payload data can be used in response to disasters world-wide. 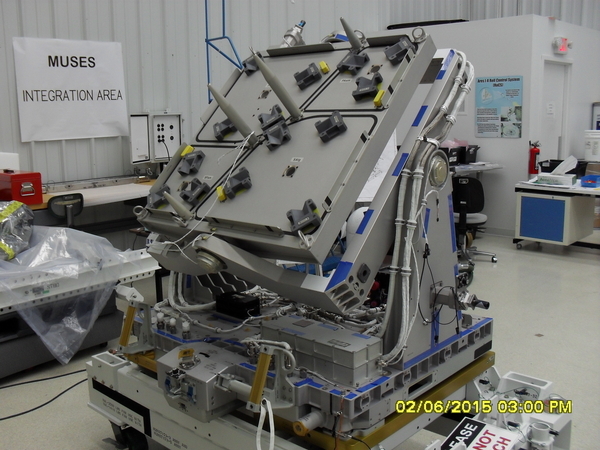 The first investigation to be hosted aboard the MUSES platform will be the DLR Earth Sensing Imaging Spectrometer (DESIS), on Expeditions 51/52 and 53/54, and is planned for launch later this year. DESIS is a hyperspectral imager operating in the 400-1000 nanometer spectral range. “The German Space Agency, DLR, will use the DESIS imagery for scientific purposes. Teledyne Brown Engineering will use the imagery for commercial purposes,” according to Galloway. “MUSES was designed to interface with every possible data network on ISS and take maximum utilization of the downlink capability from ISS to ground to achieve our goal of getting large amounts of image and scientific data down from these instruments,” said Galloway.